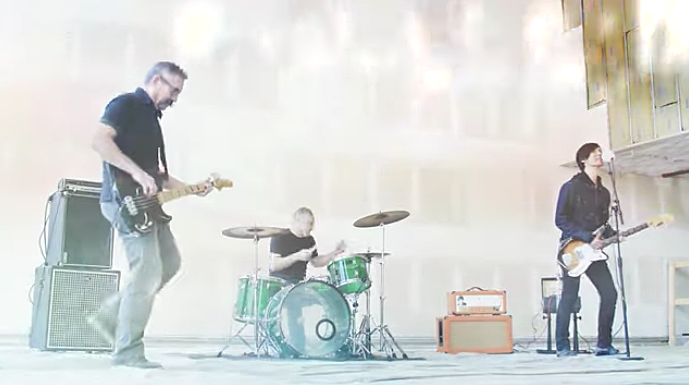 Last year, Minneapolis indie rockers Porcupine released their first album with Husker Du bassist Greg Norton as a member, What You’ve Heard Isn’t Real, and we’re now premiering the video for “Lifetime” off that album. It’s the kind of catchy, driving indie rock that Husker Du fans will probably dig, and it comes with a performance video that suits the song well. Check it out below. You can order the new album from DC-Jam and Dead Broke Rekerds. Porcupine are opening for Greg’s former Husker Du bandmate Bob Mould at the first of his two 40th anniversary shows, which happen in St. Paul, MN and celebrate the 40th anniversary of Husker Du’s first-ever show. That’s part of Bob Mould’s tour behind his new album Sunshine Rock, and other openers on the tour include Titus Andronicus (who open the Brooklyn show on 2/21), Screaming Females, The Drew Thomson Foundation, Beach Bunny, Will Johnson of Centro-matic, Hutch Harris (ex-Thermals), and more. All of his dates are listed below. Before the show with Bob Mould, Porcupine are also touring as a support act for reunited supergroup The Flesh Eaters (members of X, The Blasters, Los Lobos), who released their first new album in 35 years this past January. That includes the NYC show on May 17 at Bowery Ballroom (tickets). All Porcupine dates are listed below too.